to iron out order, etc. https://en.wikipedia.org/wiki/OASIS_(organization) - a global nonprofit consortium that works on the development, convergence, and adoption of standards for security, Internet of Things, energy, content technologies, emergency management, and other areas. OASIS was founded under the name "SGML Open" in 1993. It began as a trade association of SGML tool vendors to cooperatively promote the adoption of the Standard Generalized Markup Language (SGML) through mainly educational activities, though some amount of technical activity was also pursued including an update of the CALS Table Model specification and specifications for fragment interchange and entity management. OpenSocial is the industry's leading and most mature standards-based component model for cloud based social apps. Wikipedia:OpenSocial is a public specification that defines a component hosting environment (container) and a set of common application programming interfaces (APIs) for web-based applications. Initially it was designed for social network applications and was developed by Google along with MySpace and a number of other social networks. In more recent times it has become adopted as a general use runtime environment for allowing untrusted and partially trusted components from third parties to run in an existing web application. The OpenSocial Foundation has also moved to integrate or support numerous other open web technologies. This includes Oauth and OAuth 2.0, Activity Streams, and portable contacts, among others. "There are numerous open standards that are considered to advance the vision, such as RDF, RDFa, microformats, APML, FOAF, OAuth, OpenID, OPML, RSS, SIOC, the XHTML Friends Network (XFN), XRI, and XDI." http://web.archive.org/web/20100706024305/http://2008.xtech.org/public/schedule/detail/565 - Data Portability with SIOC and FOAF. May 2008. DiSo Project (dee • soh) is an initiative to facilitate the creation of open, non-proprietary and interoperable building blocks for the decentralized social web. Silo free living. Social networks are becoming more open, more interconnected, and more distributed. Many of us in the web creation world are embracing and promoting web standards — both client-side and server-side. Microformats, standard APIs, and open-source software are key building blocks of these technologies. This model can be described as having three sides: Information, Identity, and Interaction. Our first target is WordPress, bootstrapping on existing work and building out from there. HowTo: Rebooting the RSS cloud - There are three sides to the cloud:1. The authoring tool. I edit and update a feed. It contains a <cloud> element that says how a subscriber should request to notification of updates.2. The cloud. It is notified of an update, and then in turn notifies all subscribers.3. The subscriber. A feed reader, aggregator, whatever -- that subscribes to feeds that may or may not be part of a cloud. 1. The authoring tool. I edit and update a feed. It contains a <cloud> element that says how a subscriber should request to notification of updates. 2. The cloud. It is notified of an update, and then in turn notifies all subscribers. 3. The subscriber. A feed reader, aggregator, whatever -- that subscribes to feeds that may or may not be part of a cloud. a general-purpose Activity Streams engine. It diverges from OStatus in a few other respects, of course, such as sending activity messages as JSON rather than as Atom, and by defining a simple REST inbox API instead of using PubSubHubbub and Salmon to push messages to other servers. Pump.io also uses a new database abstraction layer called Databank, which has drivers for a variety of NoSQL databases, but supports real relational databases, too. StatusNet, in contrast, was bound closely to MySQL. But, in the end, the important thing is the feature set; a pump.io instance can generate a microblogging feed, an image stream, or essentially any other type of feed. Activity Streams defines actions (which are called "verbs") that handle common social networking interaction; pump.io merely sends and receives them. Tent - the protocol for decentralized communication. Tent uses HTTPS and JSON to transport posts between servers and apps. Tent - use data and posts across your apps and send and receive posts from friends. Right now, most people use Tent to share short 256 character long status posts with friends. Many independent developers are building other apps that use the Tent protocol. ActivityPush - A lightweight method for URI addressable resources to be automatically notified about remote (off-site) activites on them. A crypto-free alternative to the Salmon Protocol for public activites. Known - gives you full control. Host your site on our service, or install it on your own server and extend it to meet your needs. The core Known platform is open source, and it is designed to be easy to customize, redesign, and build on top of. https://github.com/mimecuvalo/helloworld - federated social web tumblr/blog/rss reader/wordpress-like thingy. passes swat0! https://en.wikipedia.org/wiki/ActivityPub - an open, decentralized social networking protocol based on Pump.io's ActivityPump protocol. It provides a client/server API for creating, updating and deleting content, as well as a federated server-to-server API for delivering notifications and content. https://github.com/Chocobozzz/PeerTube - Federated (ActivityPub) video streaming platform using P2P (BitTorrent) directly in the web browser with WebTorrent and Angular. https://github.com/aaronpk/Nautilus - meant to run as a standalone service to deliver posts from your own website to ActivityPub followers. You can run your own website at your own domain, and this service can handle the ActivityPub-specific pieces needed to let people follow your own website from Mastodon or other compatible services. https://github.com/writeas/Read.as - Free and open source long-form reader. Go-Fed - canonical resource for tutorials and documentation surrounding the go-fed organization. GNU Social, Hubzilla, PostActiv, Friendica, Mastodon or Pleroma, etc. Bridgy Fed - Got an IndieWeb site? Want to interact with Mastodon, Hubzilla, and the rest of the fediverse? Bridgy Fed is for you. GangGo - a decentralized social network written in GoLang. It uses the same federation library like Diaspora, Mastodon and therefore can participate in conversations like any other Pod! microformats are extensions to HTML for marking up people, organizations, events, locations, blog posts, products, reviews, resumes, recipes etc. Sites use microformats to publish a standard API that is consumed and used by search engines, browsers, and other tools. hRecipe - for recipes and foodstuffs. Twitter Cards make it possible for you to attach media experiences to Tweets that link to your content. Simply add a few lines of HTML to your webpages, and users who Tweet links to your content will have a "card" added to the Tweet that’s visible to all of their followers. ValueFlows - a set of common vocabularies to describe flows of economic resources of all kinds within distributed economic ecosystems. Purpose: to enable internetworking among many different software projects for resource planning and accounting within fractal networks of people and groups. The vocabulary will work for any kind of economic activity, but the focus is to facilitate groups experimenting with solidarity / cooperative / collaborative / small business ecosystem / commons based peer production / any transitional economies. Or, with less buzzwords, "let's help a lot of alternative economic software projects that are solving different pieces of the same puzzle be able to work together".One of the purposes of this vocab is to support resource flows connecting many websites. These flows may be oriented around Processes, Exchanges, or combinations of both. We want to support RDF based and non-RDF based use of the vocabulary, basically any way that people want to use software and data on the internet to help create economic networks. OpenID is an open standard that allows users to be authenticated by certain co-operating sites (known as Relying Parties or RP) using a third party service, eliminating the need for webmasters to provide their own ad hoc systems and allowing users to consolidate their digital identities. OAuth began in November 2006 when Blaine Cook was developing the Twitter OpenID implementation. Meanwhile, Ma.gnolia needed a solution to allow its members with OpenIDs to authorize Dashboard Widgets to access their service. Cook, Chris Messina and Larry Halff from Ma.gnolia met with David Recordon to discuss using OpenID with the Twitter and Ma.gnolia APIs to delegate authentication. They concluded that there were no open standards for API access delegation. The OAuth discussion group was created in April 2007, for the small group of implementers to write the draft proposal for an open protocol. DeWitt Clinton from Google learned of the OAuth project, and expressed his interest in supporting the effort. In July 2007 the team drafted an initial specification. Eran Hammer joined and coordinated the many OAuth contributions, creating a more formal specification. On October 3, 2007, the OAuth Core 1.0 final draft was released. Because OAuth 2.0 is more like a framework rather than a defined protocol, any OAuth 2.0 implementation is unlikely to naturally be interoperable with any other OAuth 2.0 implementation. Further deployment profiling and specification is required for any interoperability. BrowserID - This is the production BrowserID specification, working live at https://login.persona.org. Persona - repository contains the core Mozilla Persona services. EyeDee.Me - EyeDee.Me is an example Indentity Provider for the BrowserID protocol. This protocol is used by Mozilla Persona to authenticate users across the web. EyeDee.Me styles itself like an email provider, but does not actually handle any email. Rather, it exists solely as an example for how services, such as email providers, can provide first-class support for BrowserID. BigTent - A ProxyIdP service for bridging major IdPs who lack support for the BrowserID protocol. 123done - your tasks - simplified. test login. IndieAuth is a way to use your own domain name to sign in to websites. It's like OpenID, but simpler! It works by linking your website to one or more authentication providers such as Twitter or Google, then entering your domain name in the login form on websites that support IndieAuth. http://indiewebcamp.com/IndieAuth - IndieAuth is an implementation of Web sign-in/RelMeAuth with a REST API on top. url, not uri. costs a domain, digital divide..
GRC: SQRL - Secure (QR) Login. Proposing a comprehensive, easy-to-use, high security replacement for usernames, passwords, reminders, one-time-code authenticators and everything else. Universal 2nd Factor - open ecosystem documents, an initiative started by Google. The intent is to enable Internet users to carry a non-phishable strong 2 factor device which the user can register at any supporting site to get strong authentication security. The goal is to get many internet services accepting these devices as an option for 2nd Factor, get the key client platforms (browsers, OSes) to have built in support for these open-protocol devices and a large number of vendors making protocol compliant devices. gpgAuth is an authentication mechanism which uses Public/Private (cryptographic) keys (such as GnuPG, PGP) to authenticate users to a web-page or service. The process works by the two-way exchange of Encrypted/Signed tokens between a user and the service. gpgAuth is a generic authentication protocol that is not specific to any technology, platform or provider type. Being a versitile authentication mechansim, there are many hardware/software options available - in the projects section you will find information regarding various gpgAuth client and server implementations or tools. Login with SSH - a simple experiment to authenticate web sessions with SSH. Doing so gives you a fully decentralized, passwordless authentication for free. A custom SSH server listens for connections. Instead of providing a shell or any other service, it only validates the public key you offer. Then, a callback is made to a web application with a payload containing the validated public key along with the login token used. In practise, you would have first hit a "login with SSH button" on the web app. It would have generated a session that resolves into a valid one with a callback handing the proper key / token combination. https://en.wikipedia.org/wiki/JSON_Web_Token - JWT, is a JSON-based open standard (RFC 7519) for creating access tokens that assert some number of claims. For example, a server could generate a token that has the claim "logged in as admin" and provide that to a client. The client could then use that token to prove that it is logged in as admin. The tokens are signed by one party's private key (usually the server's), so that both parties (the other already being, by some suitable and trustworthy means, in possession of the corresponding public key) are able to verify that the token is legitimate. The tokens are designed to be compact, URL-safe and usable especially in web browser single sign-on (SSO) context. JWT claims can be typically used to pass identity of authenticated users between an identity provider and a service provider, or any other type of claims as required by business processes. JWT relies on other JSON-based standards: JWS (JSON Web Signature) RFC 7515 and JWE (JSON Web Encryption) RFC 7516. The XML format used by XRDS was originally developed in 2004 by the OASIS XRI (extensible resource identifier) Technical Committee as the resolution format for XRIs. The acronym XRDS was coined during subsequent discussions between XRI TC members and OpenID developers at first Internet Identity Workshop held in Berkeley, CA in October 2005. The protocol for discovering an XRDS document from a URL was formalized as the Yadis specification published by Yadis.org in March 2006. Yadis became the service discovery format for OpenID 1.1. A common discovery service for both URLs and XRIs proved so useful that in November 2007 the XRI Resolution 2.0 specification formally added the URL-based method of XRDS discovery (Section 6). This format and discovery protocol subsequently became part of OpenID Authentication 2.0. In early 2008, work on OAuth discovery by Eran Hammer-Lahav led to the development of XRDS Simple, a profile of XRDS that restricts it to the most basic elements and introduces some extensions to support OAuth discovery and other protocols that use specific HTTP methods. In late 2008, XRDS Simple has been cancelled and merged back into the main XRDS specification resulting in the upcoming XRD 1.0 format. RFC5785: Defining Well-Known Uniform Resource Identifiers (URIs) - defines a path prefix for "well-known locations", "/.well-known/", in selected Uniform Resource Identifier (URI) schemes. Simple Web Discovery (SWD) defines an HTTPS GET based mechanism to discover the location of a given type of service for a given principal starting only with a domain name. RFC5899: Web Linking - specifies relation types for Web links, and defines a registry for them. It also defines the use of such links in HTTP headers with the Link header field. WebFinger is a .well-known based protocol that aims to provide information about people by their E-mail addresses. It moves the old UNIX Finger protocol to the web by relying on HTTP only. It provides meta data about the user behind the E-mail address, for example public encryption keys and OpenIDs. The WebFinger protocol is used by the federated social networks StatusNet and Diaspora to discover users on federated nodes and pods as well as the remotestorage protocol used by e.g. ownCloud. WebFist uses DKIM-signed email to prove that you, the user, want to participate in WebFinger, regardless of what your provider says. By sending a single email you can delegate your WebFinger profile to your own website host or anything that can serve the service document over HTTP (e.g., Google Drive). This is ridiculously easy for users. You can even set up WebFist via a mailto link on a webpage. To accomplish decentralization, WebFist servers take delegation emails, encrypt them into blobs, and distribute the blobs safely across a pool of peer servers. These servers synchronize with a "fist bump", transferring just encrypted blobs without secret keys. This makes it near impossible to enumerate every email address in WebFist. JSON Resource Descriptor (JRD) is a simple JSON object that describes a "resource" on the Internet, where a "resource" is any entity on the Internet that is identified via a URI or IRI. For example, a person's account URI (e.g., acct:bob@example.com) is a resource. So are all web URIs (e.g., http://www.packetizer.com/). The JSON Resource Descriptor, originally introduced in RFC 6415 and based on the Extensible Resource Descriptor (XRD) format, was adopted for use in the WebFinger protocol, though its use is not restricted to WebFinger or RFC 6415. Also used in OpenID Connect. Web Intents is a framework for client-side service discovery and inter-application communication. Services register their intention to be able to handle an action on the user's behalf. Applications request to start an Action of a certain verb (share, edit, view, pick etc.) and the system will find the appropriate Services for the user to use based on the user's preference. Web Intents puts the user in control of service integrations and makes the developer's life simple. hCard is a microformat that allows a vCard to be embedded inside an HTML page. It makes use of CSS class names to identify each vCard property. Normal HTML markup and CSS styling can be used alongside the hCard class names without affecting the webpage's ability to be parsed by a hCard parser. RFC: MetaWeblog API - a programming interface that allows external programs to get and set the text and attributes of weblog posts. It builds on the popular XML-RPC communication protocol, with implementations available in many popular programming environments. The MetaWeblog API is designed to enhance the Blogger API, which was limited in that it could only get and set the text of weblog posts. By the time MWA was introduced, in spring 2002, many weblog tools had more data stored with each post, and without an API that understood the extra data, content creation and editing tools could not access the data. At the time of this writing, summer 2003, most popular weblog tools and editors support both the Blogger API and the MetaWeblog API. https://en.wikipedia.org/wiki/MetaWeblog - an application programming interface created by software developer Dave Winer that enables weblog entries to be written, edited, and deleted using web services. The API is implemented as an XML-RPC web service with three methods whose names describe their function: metaweblog.newPost(), metaweblog.getPost() and metaweblog.editPost(). These methods take arguments that specify the blog author's username and password along with information related to an individual weblog entry. The impetus for the creation of the API in 2002 was perceived limitations of the Blogger API, which serves the same purpose. Another weblog publishing API, the Atom Publishing Protocol became an IETF Internet standard (RFC 5023) in October 2007. Subsequently, another weblog publishing API, Micropub, which was developed with modern technologies like OAuth, became a W3C Recommendation in May 2017. Many blog software applications and content management systems support the MetaWeblog API, as do numerous desktop clients. Atom Publishing Protocol - based on HTTP and is used for publications and posting on Web resources. The Atom Publishing Protocol (APP) together with the Atom Syndication Format (ASF) provides interaction with content, especially at blogs and RSS. Atom has become a popular element of Web 2.0-style solutions. APP/ASF represent a data model, which is simpler than WebDAV model, and consists of elements and selection of elements (entries), but doesn’t include location of selections (hierarchy of selection). The Atom Publishing Protocol - an application-level protocol for publishing and editing Web resources. The protocol is based on HTTP transfer of Atom-formatted representations. The Atom format is documented in the Atom Syndication Format. https://indieweb.org/Micropub - an open API standard (W3C Recommendation) that is used to create, update, and delete posts on one's own domain using third-party clients, and supersedes both MetaWeblog and AtomPub. Web apps and native apps (e.g. iPhone, Android) can use Micropub to post and edit articles, short notes, comments, likes, photos, events, or other kinds of posts to your own site. Micropub Rocks! - a validator to help you test your Micropub implementation. Several kinds of tests are available on the site. AtomEnabled.org - a simple way to read and write information on the web, allowing you to easily keep track of more sites in less time, and to seamlessly share your words and ideas by publishing to the web. AtomOwl Vocabulary Specification - an ontology whose aim is to capture the semantics of rfc4287. RFC4287 is a format to syndicate online content, such as weblogs, podcasts, videocasts, etc. Syndication is a helpful way to alert interested readers to changes to a web site, be it to new content or changed content. As AtomOwl captures the semantics of rfc4287 it is easy to convert rfc4287 feeds to AtomOwl statements and thus add them to a triple database, which can the be queried using a SPARQL endpoint. This should then help make very powerful searched for updated content possible. Rss20AndAtom10Compared - Atom Wiki - People who generate syndication feeds have a choice of feed formats. As of mid-2005, the two most likely candidates will be RSS 2.0 and Atom 1.0. The purpose of this page is to summarize, as clearly and simply as possible, the differences between the RSS 2.0 and Atom 1.0 syndication languages. syndicated.media - an open standard maintained by the community.Current areas of focus include: extending RSS to support the modern needs of producers and their content; standardizing host and client behavior; improving the availability and accuracy of metrics and analytics; establishing and publishing best practices for de facto standards that have been adopted in the industry; thinking about the future of podcasting and needs that may arise. https://github.com/RSS-Bridge/rss-bridge - a PHP project capable of generating RSS and Atom feeds for websites which don't have one. It can be used on webservers or as stand alone application in CLI mode. https://bitbucket.org/tux_/rssparser.lisp - A Web-to-RSS parser in Common Lisp. Feed Creator - Create an RSS feed for a web page which does not offer its own. Feedity - Make a feed for any webpage to follow or publish its updates. Full-Text RSS Feeds - a free software PHP application to help you extract article content from web pages. Extract from a standard HTML page or transform partial feeds to full text. Designed to be run as a web service, but one which you control. RSS Autodiscovery - a technique that makes it possible for browsers and other software to automatically find a site's RSS feed, whether it's in RSS 1.0 or RSS 2.0 format. Supported by Mozilla Firefox 2.0, Microsoft Internet Explorer 7.0 and other browsers, autodiscovery has become the best way to inform users that a web site offers a syndication feed. When a browser loads a page and discovers that a feed is available, Firefox and Internet Explorer display the common feed icon in the address bar. SubToMe - Universal Follow Button. SubToMe makes it easy for people to follow web sites,because browsers don't do it. RFC 5005 - Feed Paging and Archiving - Syndicated Web feeds (using formats such as Atom ) are often split into multiple documents to save bandwidth, allow "sliding window" access, or for other purposes. This specification formalizes two types of feeds that can span one or more feed documents; "paged" feeds and "archived" feeds. Additionally, it defines "complete" feeds to cover the case when a single feed document explicitly represents all of the feed's entries. Hacker News: Ask HN: Have you settled on a Google Reader replacement? ReplaceReader - Google Reader is going down.Find the best Reader replacements before it's too late. Canto - an Atom/RSS feed reader for the console that is meant to be quick, concise, and colorful. It’s meant to provide a minimal, yet information packed interface. No navigating menus. No dense blocks of unreadable white text. An interface with almost infinite customization and extensibility using the excellent Python programming language. Newsboat - a fork of Newsbeuter, an RSS/Atom feed reader for the text console. The only difference is that Newsboat is actively maintained while Newsbeuter isn't. https://github.com/orakaro/rainbowstream - Terminal-based Twitter Client. Real-time tweetstream, compose, search, favorite, and much more fun directly from terminal. rsstail - more or less an rss reader: it monitors an rss-feed and if it detects a new entry it'll emit only that new entry. Venus - a flexible feed aggregator. It downloads news feeds published by web sites and aggregates their content together into a single combined feed, latest news first. This version of Planet is named Venus as it is the second major version. The first version is still in wide use and is also actively being maintained. Tiny Tiny RSS - an open source web-based news feed (RSS/Atom) reader and aggregator, designed to allow you to read news from any location, while feeling as close to a real desktop application as possible. https://github.com/feediron/ttrss_plugin-feediron - a plugin for Tiny Tiny RSS (tt-rss) that allows you to replace an article's contents by the contents of an element on the linked URL's page, i.e. create a "full feed". CommaFeed - Google Reader inspired self-hosted RSS reader. https://github.com/arbk/shomyo - web based feed reader and aggregator. It's installed on your web server. And, you access it by a browser. (PC, Android, and iPhone, etc.) shomyo is the custom version based on selfoss. https://github.com/swanson/stringer - A self-hosted, anti-social Ruby based RSS reader. Stringer has no external dependencies, no social recommendations/sharing, and no fancy machine learning algorithms. But it does have keyboard shortcuts and was made with love! Feedbin - Follow your passions with RSS, Twitter, and email newsletters. Winds - a beautiful open-source RSS and Podcast app created using React & Redux on the frontend and Express.js on the backend. Use the free hosted version or run it on your own server and customize it as you see fit. Contributions in form of pull requests are always appreciated. Activity Feeds & Discovery in Winds are powered by Stream, the app leverages Algolia for search, AWS for hosting, MongoDB Atlas for a hosted database (DBaaS), and SendGrid for email. All of these services have a free tier. PubwichFork — Aggregate your Social Web content into a single HTML page - An open-source PHP web application that allows you to aggregate published data from multiple websites and social services into a single HTML page. River2 - a River of News feed reader with lots of features. https://github.com/scripting/river5 - A river-of-news RSS aggregator in JS running in Node. TagTeam - The open-source tagging platform and feed aggregator. https://github.com/passiomatic/coldsweat - a Python web RSS aggregator and reader compatible with the Fever API. This means that you can connect Coldsweat to a variety of clients like Reeder for iOS or Mac OS X ReadKit app and use it to sync them together. https://code.google.com/p/openbotlist - open source suite of software applications for social bookmarking and collecting online news content for use on the web. Multiple web front-ends exist based on Django (through Google AppEngine), Rails, and J2EE. Users and remote agents are allowed to submit interesting articles. There are additional remote agent libraries for back-end text mining operations. The system is broken up by the back-end specification and front-end specification. https://github.com/truerss/truerss - open source feed reader with customizable plugin system for any content (atom, rss, youtube channels...). Miniflux - Miniflux is a minimalist and opinionated feed reader. Go. feedtragon - a small self-hosted RSS-reader. Instead of polling feeds on its own, it is using superfeedr to get updates of subscribed feeds. https://github.com/podlove/podlove-web-player - a Podcast-optimized, HTML5-based audio player based on VueJS. SemanticScuttle - a social bookmarking tool experimenting with features like structured tags and collaborative tag descriptions. Shaarli - a minimalist delicious clone you can install on your own website. It is designed to be personal (single-user), fast and handy. Superfeedr - pushes feed data in realtime. Superfeedr's powerful unified Feed API simplifies how you handle RSS, Atom, or JSON feeds. Whether you publish or consume feeds, we streamline the notification process, saving you time and resources. FreshRSS - a self-hosted RSS feed aggregator such as Leed or Kriss Feed. FeedSubs - Open Source RSS feed reader. Start using it straight away by creating an account. SimplePie - a very fast and easy-to-use feed parser, written in PHP, that puts the 'simple' back into 'really simple syndication'. Flexible enough to suit beginners and veterans alike, SimplePie is focused on speed, ease of use, compatibility and standards compliance. OPML an XML-based format that allows exchange of outline-structured information between applications running on different operating systems and environments. OPML Editor - an outliner, an editor that works with chunks of text that slide around on rails. You can control the level of detail you look at, and reorganize according to structure. It's great for writing blog posts, technical notes, program code, legal briefs, product plans, to-do lists, entire websites, anything where ideas need organization. https://github.com/forgefed/forgefed - An extension to ActivityPub for web-based Git services federation. https://indieweb.org/Microsub - a standardized way for reader apps to interact with feeds. By splitting feed parsing and displaying posts into separate parts, a reader app can focus on presenting posts to the user instead of also having to parse feeds. A Microsub server manages the list of people you're following and collects their posts, and a Microsub app shows the posts to the user by fetching them from the server. 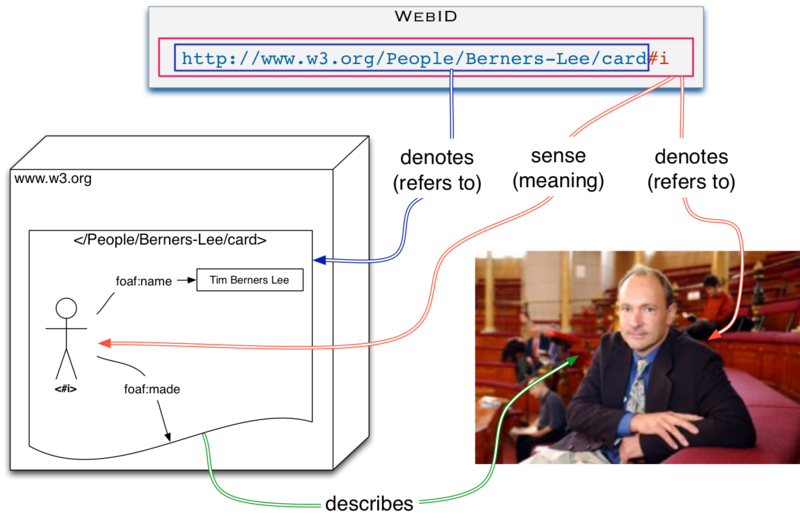 https://en.wikipedia.org/wiki/Publish–subscribe_pattern - a messaging pattern where senders of messages, called publishers, do not program the messages to be sent directly to specific receivers, called subscribers, but instead categorize published messages into classes without knowledge of which subscribers, if any, there may be. Similarly, subscribers express interest in one or more classes and only receive messages that are of interest, without knowledge of which publishers, if any, there are. Publish–subscribe is a sibling of the message queue paradigm, and is typically one part of a larger message-oriented middleware system. Most messaging systems support both the pub/sub and message queue models in their API, e.g. Java Message Service (JMS). This pattern provides greater network scalability and a more dynamic network topology, with a resulting decreased flexibility to modify the publisher and the structure of the published data. https://indieweb.org/WebSub - previously known as PubSubHubbub or PuSH, and briefly PubSub, is a notification-based protocol for web publishing and subscribing to streams and legacy feed files in real time. Currently there are no known indieweb sites that subscribe to anything via WebSub, but there are a few separate-UI indie-readers that use WebSub to subscribe to h-feed streams. WebSub is developed in the W3C Social Web Working Group. PubSubHubbub (PuSH) - A simple, open, server-to-server webhook-based pubsub (publish/subscribe) protocol for any web accessible resources. Make a Twitter out of RSS - Dave Winer, March 28, 2013. Six Apart - Labs: Trackback - uses a REST model, where requests are made through standard HTTP calls. To send a TrackBack ping, the client makes a standard HTTP request to the server, and receives a response in a simple XML format (see below for more details). In the TrackBack system, the URL that receives TrackBack pings is the TrackBack Ping URL. A typical TrackBack Ping URL looks like http://www.example.com/trackback/5, where 5 is the TrackBack ID. Server implementations can use whatever format makes sense for the TrackBack Ping URL; client implementations should not depend on a particular format. To send a ping, the client sends an HTTP POST request to the TrackBack Ping URL. The client MUST send a Content-Type HTTP header, with the content type set to application/x-www-form-urlencoded. The client SHOULD include the character encoding of the content being sent (title, excerpt, and weblog name) in the charset attribute of the Content-Type header. https://en.wikipedia.org/wiki/Pingback - an XML-RPC request (not to be confused with an ICMP ping) sent from Site A to Site B, when an author of the blog at Site A writes a post that links to Site B. The request includes the URI of the linking page. When Site B receives the notification signal, it automatically goes back to Site A checking for the existence of a live incoming link. If that link exists, the pingback is recorded successfully. This makes pingbacks less prone to spam than trackbacks. Pingback-enabled resources must either use an X-Pingback header or contain a <link> element to the XML-RPC script. https://en.wikipedia.org/wiki/Refback - simply the usage of the HTTP referrer header to discover incoming links. Whenever a browser traverses an incoming link from Site A (originator) to Site B (receptor) the browser will send a referrer value indicating the URL from where the user came. Site B might publish a link to Site A after visiting Site A and extracting relevant information from Site A such as the title, meta information, the link text, and so on. Refback only requires Site B to be Refback enabled in order to establish this communication. Refback requires Site A to physically link to Site B. Refback also requires browsers to traverse the links. http://webmention.org/ - A modern alternative to Pingback. http://webmention.io/ is an open-source project and hosted service for receiving webmentions and pingbacks on behalf of your indieweb site. Salmon Protocol is a message exchange protocol running over HTTP designed to decentralize commentary and annotations made against newsfeed articles such as blog posts. It allows a single discussion thread to be established between the article's origin and any feed reader or "aggregator" which is subscribing to the content. Put simply, that if an article appeared on 3 sites A (the source), B and C (the aggregates), that members of all 3 sites could see and contribute to a single thread of conversation regardless of site they were viewing from. http://indiewebcamp.com/comment - are displayed in the context of an original post, and may be a mix of syndicated reply posts from other sites received via Webmention, as well as locally created comments. https://indieweb.org/Webmention - a web standard for mentions and conversations across the web, a powerful building block that is used for a growing federated network of comments, likes, reposts, and other rich interactions across the decentralized social web. https://indieweb.org/Salmention - a protocol extension to Webmention to propagate comments and other interactions upstream by sending a webmention from a response to the original post when the response itself receives a response (comment, like, etc.). The original post then checks the response to the original, parses the response to the response (e.g. comment on a comment) and then displays it as an additional response on the original post. OExchange is an open protocol for sharing any URL with any service on the web. Web Intents is a framework for client-side service discovery and inter-application communication. Services register their intention to be able to handle an action on the user's behalf. Applications request to start an Action of a certain verb (share, edit, view, pick etc.) and the system will find the appropriate Services for the user to use based on the user's preference. FOAF (from "friend of a friend") is an RDF based schema to describe persons and their social network in a semantic way. FOAF could get used within many wikis for annotating user pages, or describing articles about people. The protocol is a combination of OAuth, XRDS-Simple and a wire-format based on vCard harmonized with schema from OpenSocial. remoteStorage - the first (and currently only) open standard to enable truly unhosted web apps. That means users are in full control of their precious data and where it is stored, while app developers are freed of the burden of hosting, maintaining and protecting a central database. GNUnet is a framework for secure peer-to-peer networking that does not use any centralized or otherwise trusted services. A first service implemented on top of the networking layer allows anonymous censorship-resistant file-sharing. Anonymity is provided by making messages originating from a peer indistinguishable from messages that the peer is routing. All peers act as routers and use link-encrypted connections with stable bandwidth utilization to communicate with each other. GNUnet uses a simple, excess-based economic model to allocate resources. Peers in GNUnet monitor each others behavior with respect to resource usage; peers that contribute to the network are rewarded with better service. GNUnet is part of the GNU project. GNUnet can be downloaded from GNU and the GNU mirrors. xOperator - A semantic agent for xmpp / jabber network which finds and shares content about resources (using RDF/SPARQL) for you and your jabber friends. Sneer is a free and open source sovereign computing platform. It runs on your Windows, Mac or Linux machine (like Skype or Firefox) using the Java VM. It enables you to create your personal cluster by sharing hardware resources (CPU, disk space, network bandwidth) with your friends, host your own social network, information and media, create sovereign applications and share them with others, download and run sovereign applications created by others. Foafpress - An open-source PHP web application and presentation engine that publishes profiles and web pages based on RDF data stored in files. It allows you to aggregate and publish data from multiple web sources via Linked Data. Nightweb is an app for Android devices and PCs that connects you to an anonymous, peer-to-peer social network. It is written in Clojure and uses I2P and BitTorrent on the backend. Sockethub is a polyglot (speaking many different protocols and APIs) messaging service for social and other interactive messaging applications. It assists web app developers by providing server-independent, server-side functionality - which gives the application greater autonomy. It can be used as a tool for many different types of applications, large and small. Charme - A decentralized social network with end-to-end encryption for messaging, private posts and private profile data. Posts can contain semantic information, so it is possible to search for all friends driving from A to B for example. This is a preview version. It is not secure yet!!! So do not wonder if you find some crypto mistakes! YouTube: What is the Mastodon Social Network? TheDesk - Mastodon client for PC(Windows/Linux/macOS). Boost your Mastodon life, and also Misskey experience. friendica - software to create a distributed social network. It is part of the federation of servers that are running with Friendica, Diaspora and Hubzilla which are compatible to each other. It is developed by many different people from all over the world in their spare time. There is no corporation or any foundation behind Friendica. Friendica was created by Mike Macgirvin who left the project to create Hubzilla which has a different focus than Friendica. Friendica is a communication hub that can not only talk to other Friendica servers but also natively to servers that are using the Diaspora protocol (Diaspora and Hubzilla) and the OStatus protocol that is used by GNU Social. Additionally you can use accounts of third party networks to read and post content with the use of Friendica. Hubzilla Development - hubzilla@project.hubzilla.org - a powerful platform for creating interconnected websites featuring a decentralized identity, communications, and permissions framework built using common webserver technology. Pleroma - a federated social networking platform, compatible with GNU social and other OStatus implementations. It is free software licensed under the AGPLv3. It actually consists of two components: a backend, named simply Pleroma, and a user-facing frontend, named Pleroma-FE. Write.as - Minimalist, privacy-focused,writing and publishing platform. Write.as Guides - a lightweight publishing platform made for sharing your thoughts quickly. Publish text in a variety of shareable formats, from individual articles to blogs. https://github.com/writeas/write-as.vim - A simple VIM plugin that allows one to upload blogposts to write.as directly from the buffer. Read.as - Free and open source long-form reader. Between upvoting and commenting, there are other types of actions that can be performed on items, like flagging as a favourite. - Click to Digg - (Click to thumbs-down/whatever is optional for communities, or like Hacker News) - Click to Favourite to own bookmark list -- And Tag, like del.icio.us, pinboard.in - Also, click to "Notice", as in not like the user "Diggs" or "Likes" the content of the article, and not that they want to bother saving it to Favourites, but a touch in the sence of a the *nix command, or a 'poke' to the issue embodies in the linked to page. Moderated taxonomies could be linked with Linked Data, DPpedia, etc. Groups for collaboration on and sharing of conversation, news, code, media, services, etc. Active = Groups as in membership. Open = Cost of entry is participation. Closed = Some form of new-member rules. What output can people see? Public = Open process, easily forkable. Private = Group or subgroup curates output, hidden process. Trust? Passive = Groups as in topics of interest. Web of semantically related topics and ideas. Individual hubs could federate the service they wished (widgets, social aggregation, files, etc) in a manner that could be open or hidden. Tunnelled inter-darknet connections between anonymised users and services. This page was last edited on 10 April 2019, at 05:13.